OXYVITA has been working with the Naval Medical Research Center (NMRC) in Bethesda, MD over the past several years in testing the potential for the OxyVita product to be used in Traumatic Brain Injury (TBI) treatment. It is theorized that because of the smaller size of the molecule, as well as the increased oxygen carrying capacity, that the OxyVita product may be able to minmize damage caused to brain tissue in TBI situations. TBI is an extremely detrimental condition, caused primarily by head injury, that many of the soldiers over-seas suffer. The results from the last several years have prompted the Navy to move forward with the study, and sign a new Collaborative Research and Development Agreement (CRADA), with the aim of moving forward with the studies, eventually testing in large animal models. OXYVITA is very excited to have this strong and capable partner behind the use of the product and as a collaborator in the field. Professor Harrington of OXYVITA submitted a chapter for publication to a blood substitute specific textbook. As of February 2014, Springer publishing has published this textbook. The text-book is titled Hemoglobin-Based Oxygen Carriers as Red Cell Substitutes and Oxygen Therapeutics. Link to Full Text and Order Site. Furthermore, OxyVita is mentioned more than once through out the textbook. This gives a third party verification of the promise that the OxyVita product line offers! 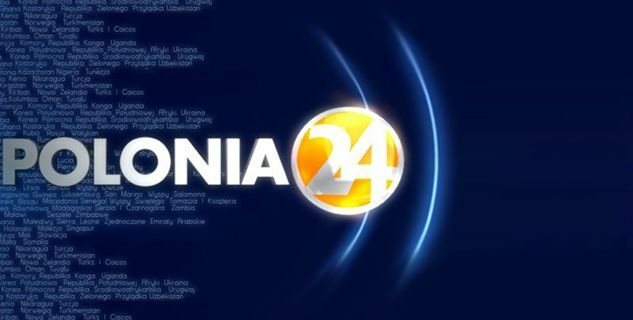 Dr. Hanna Wollocko, President and CEO of OXYVITA Inc. was interviewed as the honored guest on September 10th episode of the polish news show “Polonia 24″. The interview surrounded the OxyVita product and the need for the product world-wide. Dr. Wollocko presented the product and our unique tecnology. This opportunity allowed OXYVITA to be introduced as a leader in the oxygen therapeutic market throughout the world, while demonstrating the intent to enter the European marketplace. OXYVITA is currently exploring opportunities in the overseas markets. The news cast is broadcast throughout the world, with primary viewership in populations of Polish descent. Dr. Hanna Wollocko, President and CEO of OXYVITA Inc. was invited to participate as a panel speaker at the 2012 Economic Forum in Krynica. Dr. Wollocko presented the OxyVita products and their impact on medicine in emergency treatement. The benefit of having this type of treatment mode, as presented by Dr. Wollocko, was two fold. First, by bringing treatment to patients at the site of the accident. OxyVita’s unique properties allow for it to be potentially carried on ambulances, for administration at the site of the accident, thereby potentially avoiding the patient succumbing to a shock situation. Secondly, there is a great financial benefit to the use of OxyVita product. Not only does it potentially eliminate overhead costs of blood administration, but also can reduce the cost of treatment by keeping the patient out of shock, and therefore reducing the cost of care for the patient in the overall scenario. The participation in this forum has demonstrated that the OxyVita product is a serious proponent and candidate for approval and use in the global market. The European Union has taken notice of the unique characteristics. The participation in this forum has opened doors for OXYVITA in the European Marketplace. The presence of the pharmaceutical sector was not significant at the conference. OXYVITA and J&J were two amongst a few with a significant showing at the forum.